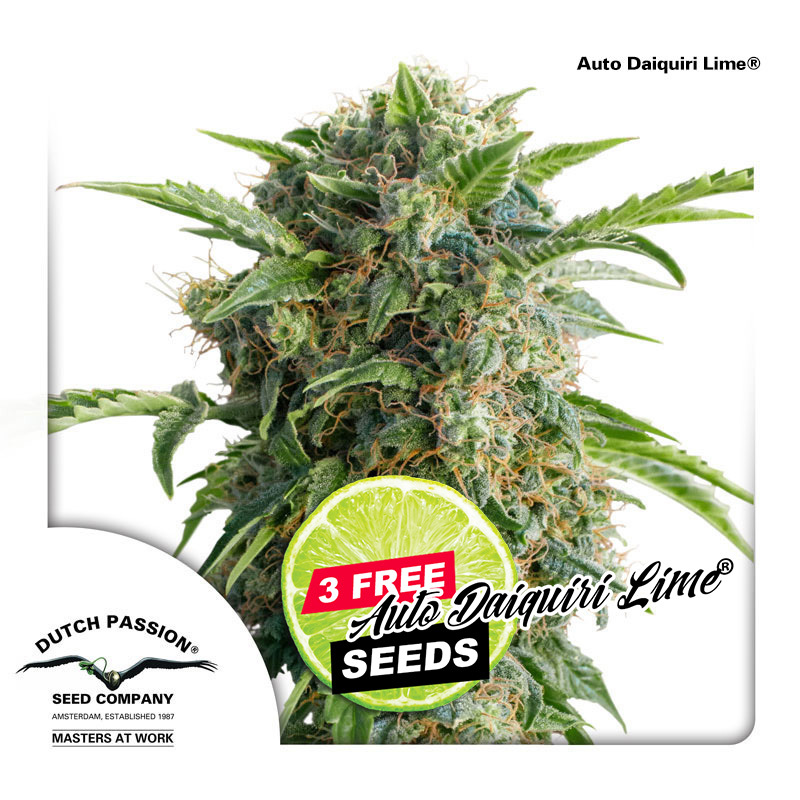 Auto Daiquiri Lime® is based on a unique Californian Orange phenotype with a sharp citrus lime taste which was hybridized with an elite resinous photoperiod USA Sour Diesel cutting. 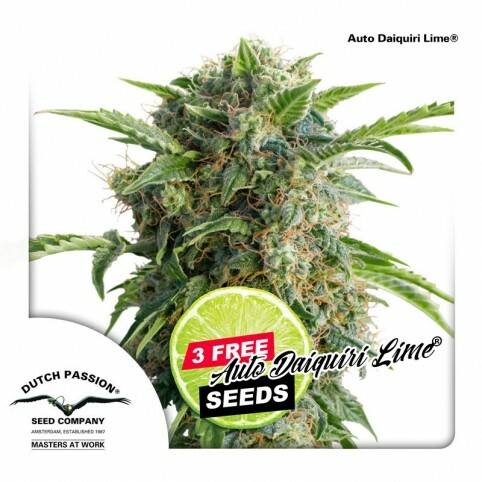 This was made into a feminized automatic variety Auto Daiquiri Lime® which combines the normal superb Dutch Passion auto potency with an unusually rich and appealing fruity/diesel aroma and a fresh sour taste. She is ready to harvest 11 weeks after germination and prefers a light nutrient regime. This variety suits growers looking for hard hitting USA style XXL harvests with rapid growth. Big, fast and easy, easy enough for a first time grower. Top quality original USA genetics with a fruity sour taste and a strong high.